Our main objective for this direct mail series was to get IT Managers (who get a lot of direct mail) excited about what was to come. With that in mind, we designed a campaign that left the recipients watching their mail. 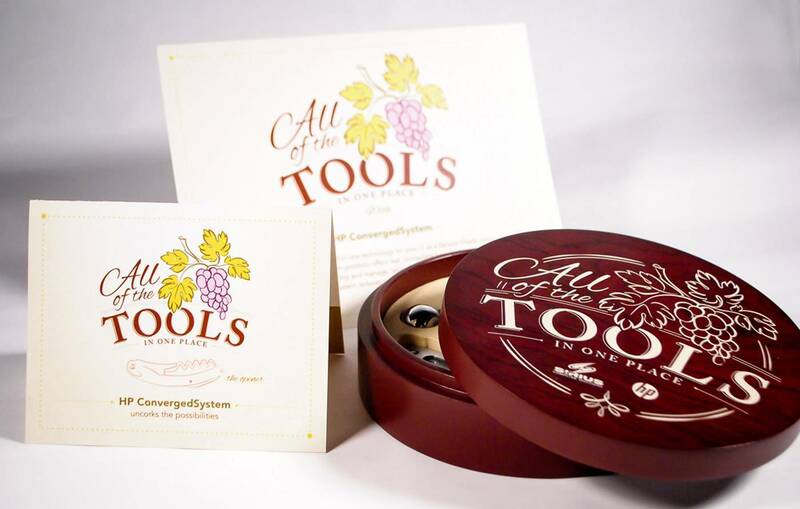 The campaign began by sending a specially designed, empty wine toolkit with slots for various wine related items along with a card instructing them to watch their mail for more to come. Each subsequent mailing included a different tool that fit into the kit coupled with a message that emphasized a feature of HP Converged Infrastructure. The end result was a complete wine kit and potential customers with a full understanding of HP Converged Infrastructure. The design of the campaign featured custom illustrations and typography to go with each tool and visuals that evoke the feeling of enjoying a glass of wine in Napa Valley.